Peggy and I are hosting a tiny birthday celebration for Karen and Susan in May. I thought I’d try to set a special tone for the celebration by sending out paper invites. There are only four of us, so it was an easy task. 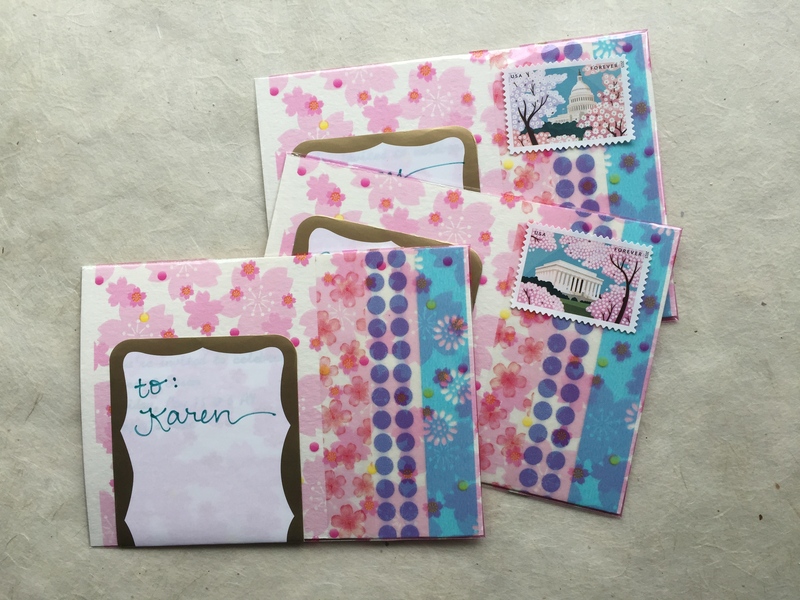 Using my trusty typewriter, some washi tape, those cherry blossom cellophane bags, and some 4-bar cards that magically fit inside, I came up with a simple spring design. My only regret is that I placed the mailing labels over the information. 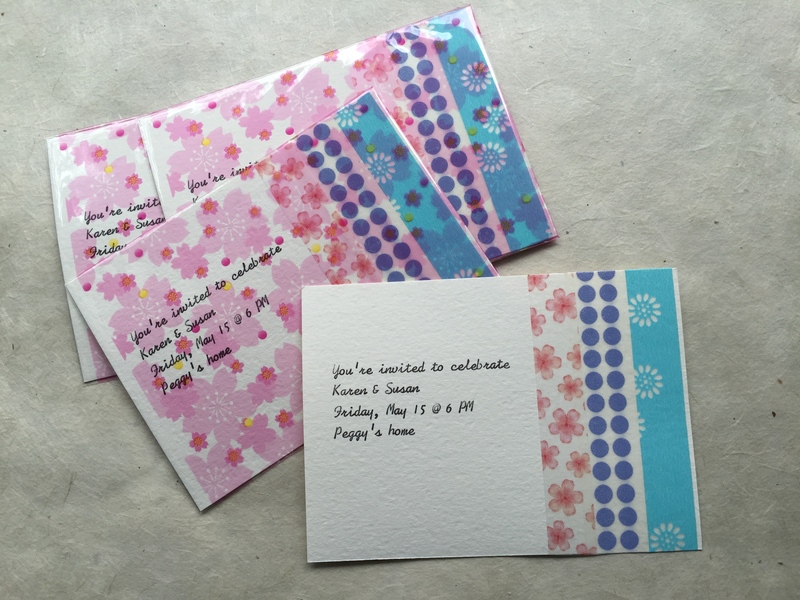 I think they would have been more fun and colorful if I’d left the invitation side blank (as shown above) and put the mailing label and the stamp on the reverse side. That way, the cellophane didn’t even need to be opened. But I do like seeing the stamp on those washi tape stripes, so all is not lost I suppose. Sigh…I do love a paper invitation, don’t you?